St. John’s Hospital in Bruges is an excellent example of when preservation and art exhibition are done correctly. A former pilgrim’s hospital, the grand hall and church have been transformed into a museum. The space exhibits art and medical objects from the history of the clinic, plus a very special section dedicated to Bruges’ most famous resident and Flemish Primitive painter Hans Memling. 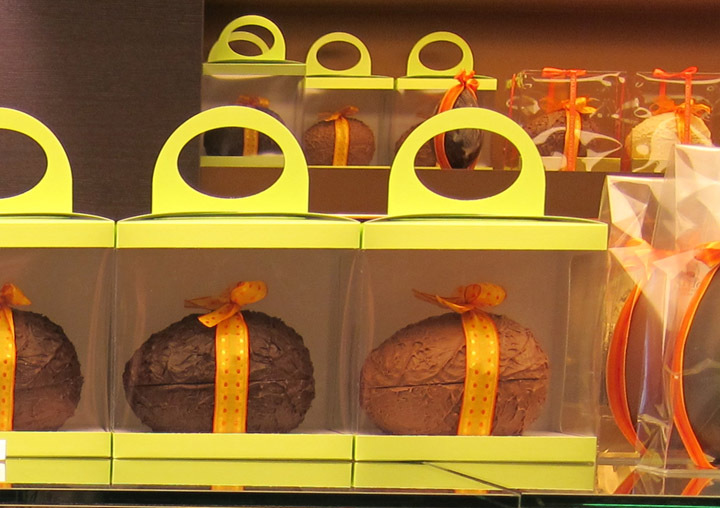 In recent years, my travels have focused on the Mediterranean with trips to Greece, Turkey and Italy. I love ancient Roman art and the Italian Renaissance, but I thought it was time to diversify a bit. With a trip to Amsterdam and Belgium, I thought I could now finally spend some time with Dutch Primitives, also known as the art of the Northern Renaissance. And then look what I find tucked away in the Low Countries: a real Michelangelo! You know the cliché about the incredible man or woman who turns heads as they enter the room? Somehow they have a power, beauty or shear presence that cannot be ignored. 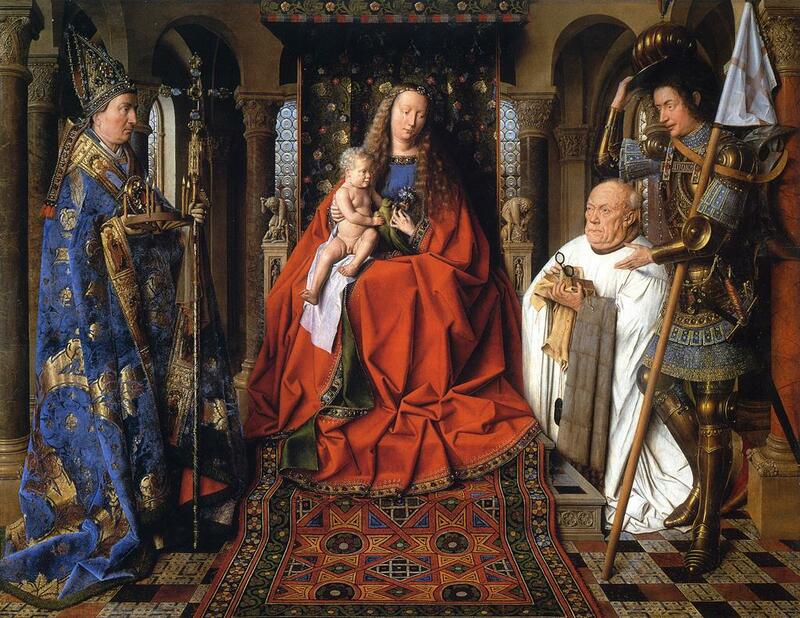 That’s essentially my experience seeing Jan van Eyck’s The Madonna and Child with Canon van der Paele at the Groeningemuseum in Bruges. As many times as I left the gallery and walked back in, I couldn’t escape it. The painting glowed with a brilliant depth of color and mesmerizing realism. 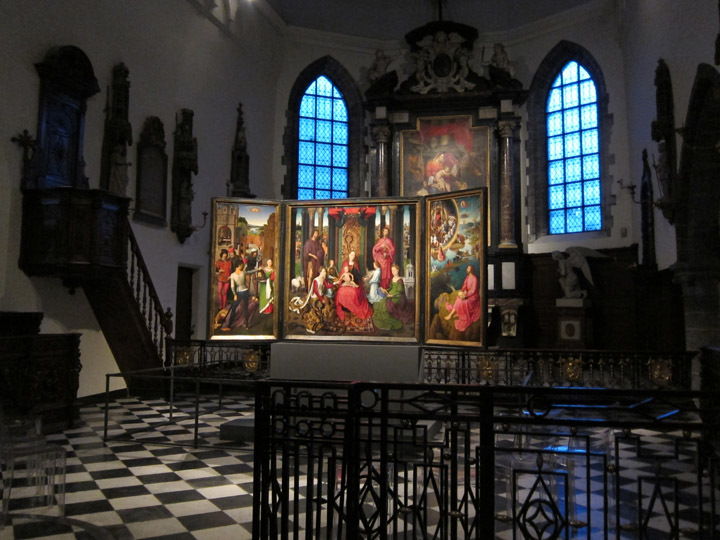 It was a window into some heavenly scene surrounded by dull and simple paintings – which is particularly impressive considering the gallery was filled with works by Hans Memling and even a few small van Eyck’s! This painting is simply a masterpiece. Late March was unseasonably cold in the low countries – chilly temperatures, biting winds and cloudy days. The only redeeming thing about cold weather is lovely snow. 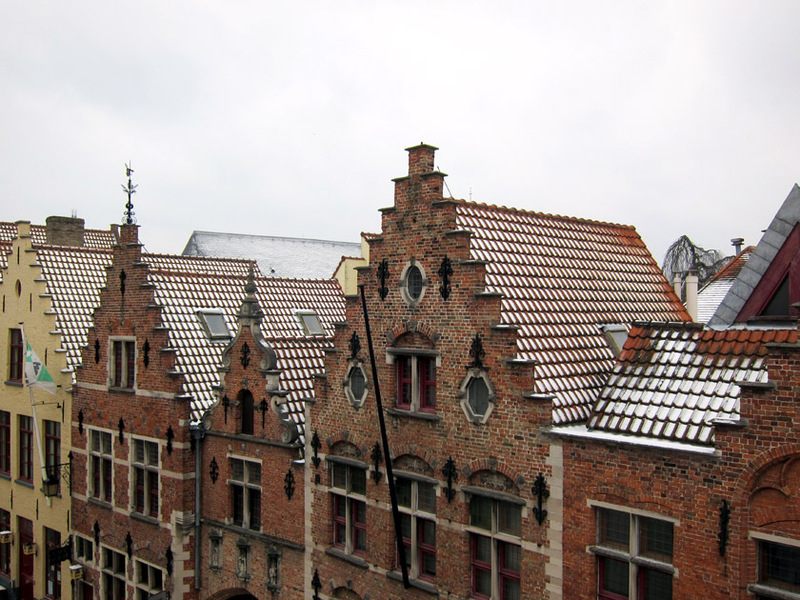 We got a dusting overnight in Bruges which made the Medieval brick houses and empty cobbled streets really stand out. I gladly put on an extra sweater and enjoyed a peaceful morning stroll through town!